A group of local members will be attending this summit. Check back here or on our Facebook page for further info nearer the time. 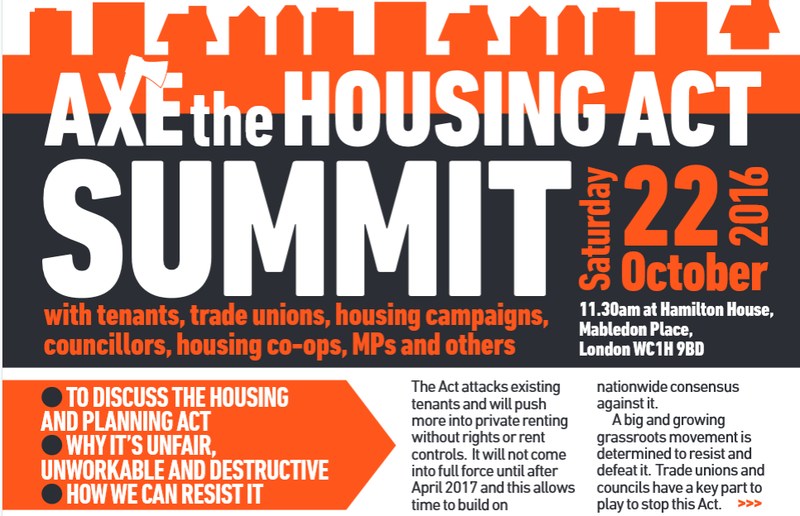 Author Kensington Labour PartyPosted on October 9, 2016 Categories UncategorizedLeave a comment on AXE THE HOUSING ACT!